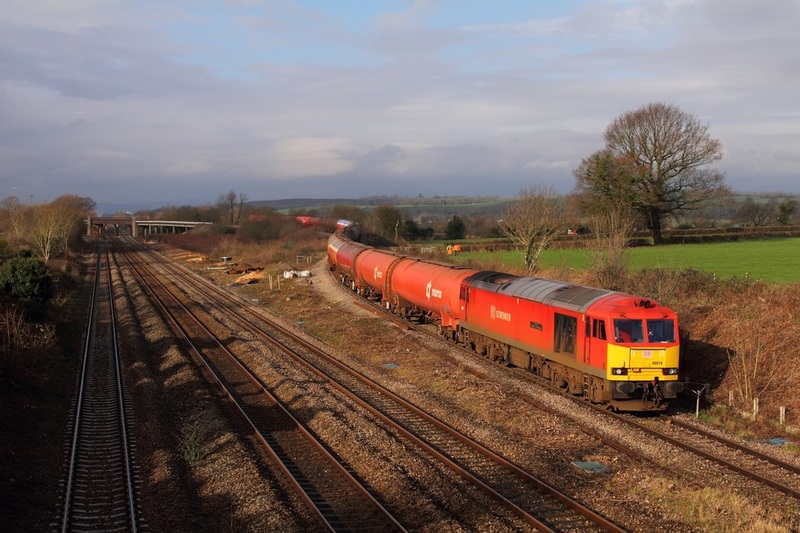 DB Schenker's 60074 powers the 6B13 Robeston to Westerleigh tanks at Magor on the 3rd January 2016. 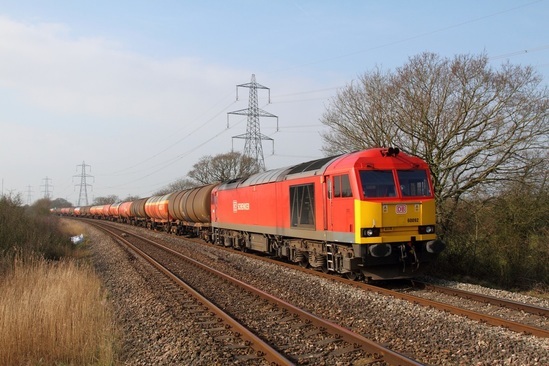 For anyone who likes pylons - DB Schenker's 60092 works the 6B13 Robeston to Westerleigh tanks at Mathern between Caldicot and Chepstow on the 11th March 2016. 60074 powers over the Bishton Flyover working the 6B13 Robeston to Westerleigh loaded murco bogie tanks on the 18th February 2016. 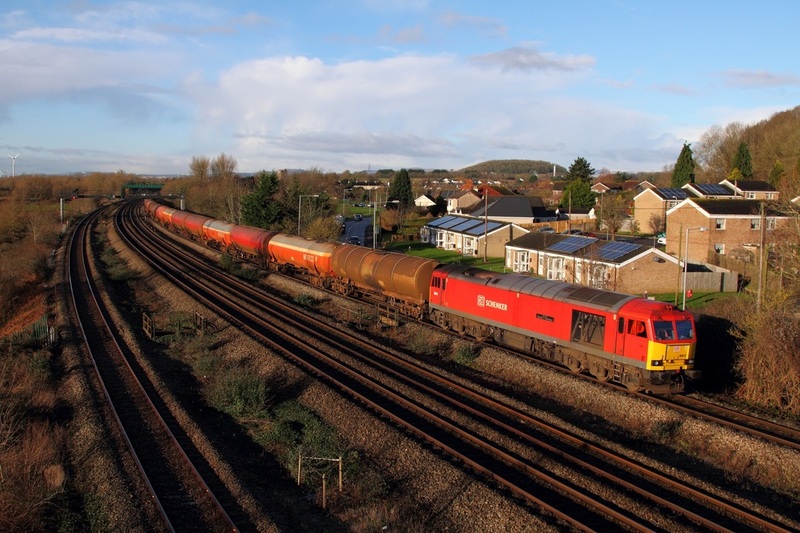 DB Schenker 60019 works the 6B13 Robeston to Westerleigh tanks over the Bishton Flyover on the 12th February 2016. 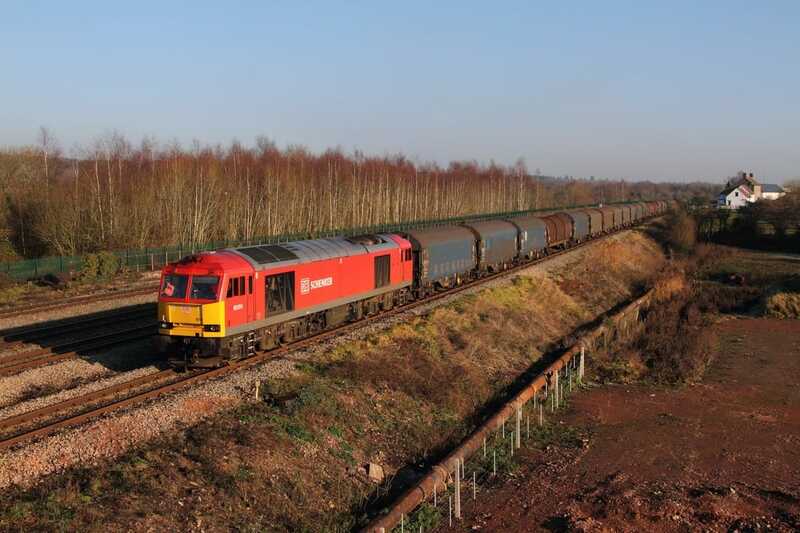 60020 at East Goscote working the 6E14 Whitemoor Yard to Aldwarke on the 4th February 2013. 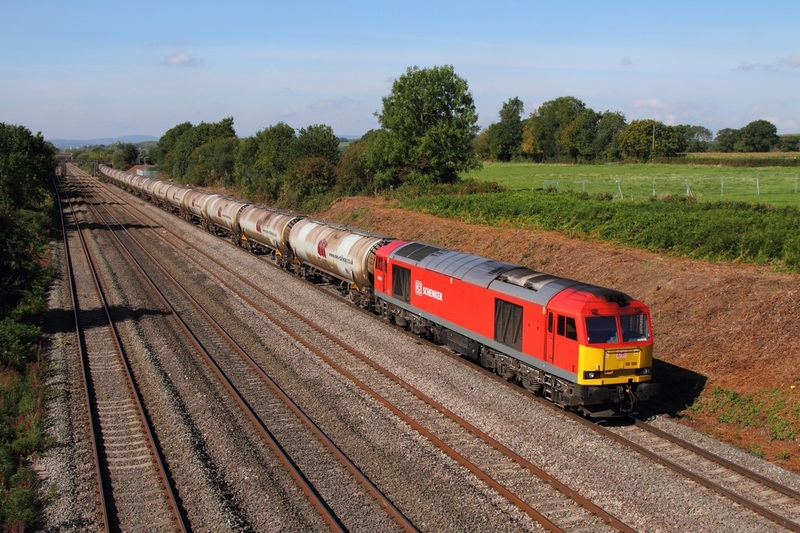 60020 hauls the 6B13 Robeston to Westerleigh loaded murco bogie tanks at Gatcombe on the 9th September 2014. 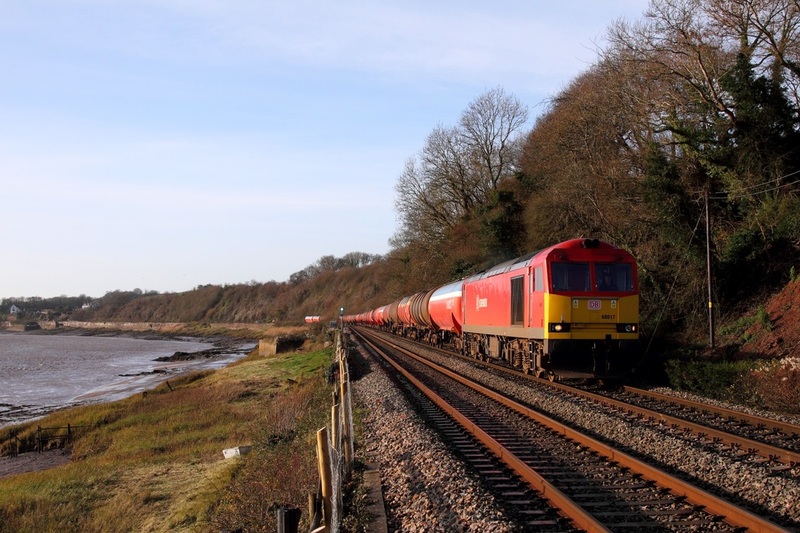 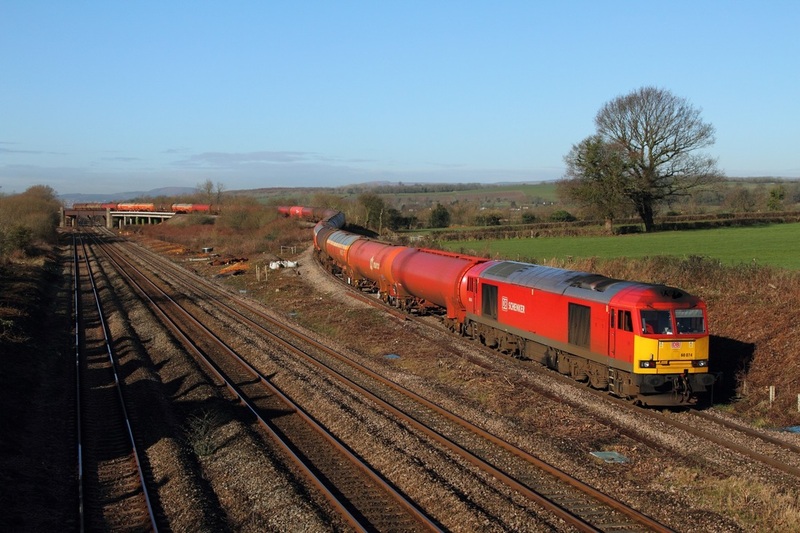 DB Schenker's 60019 leads the 6B13 Robeston to Westerleigh loaded murco bogie tanks at Undy on the 15th January 2015. 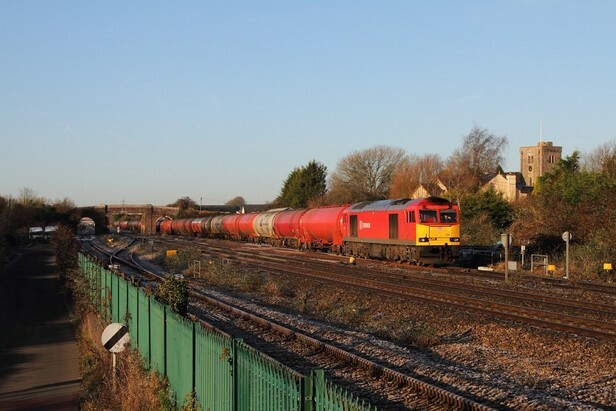 ​60017 on the 6B13 Robeston to Westerleigh tanks at Gatcombe on the 8th December 2015. 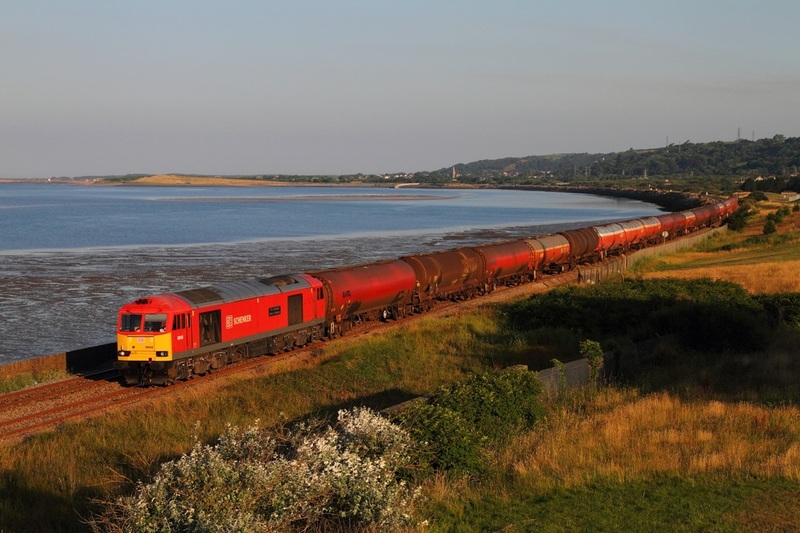 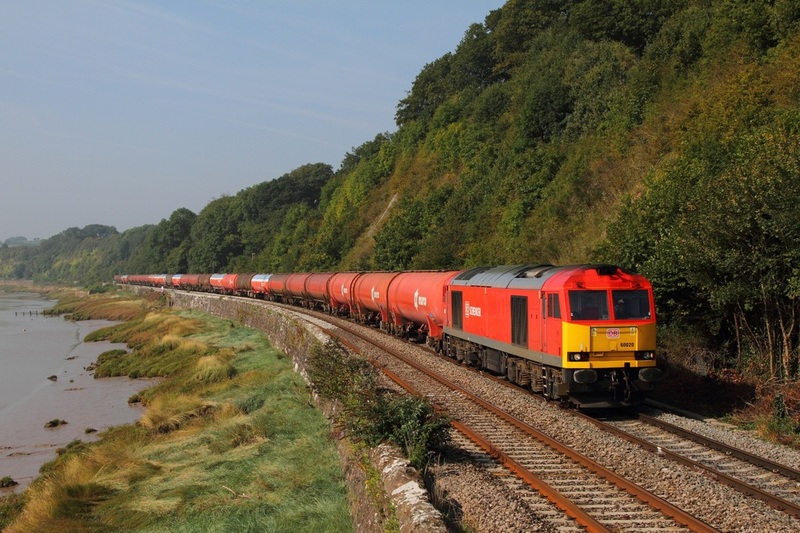 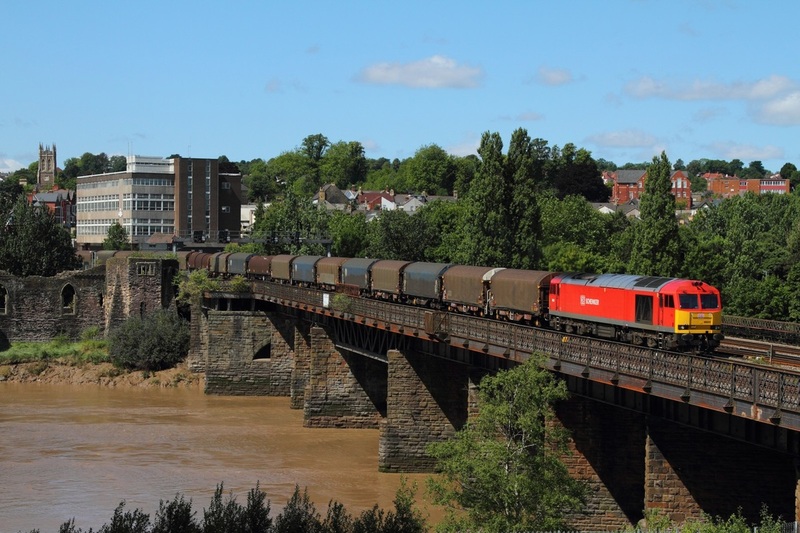 DB Schenker's 60100 hauls the 6E41 East Usk yard to Lindsey at Llandevenny on the 28th September 2015. 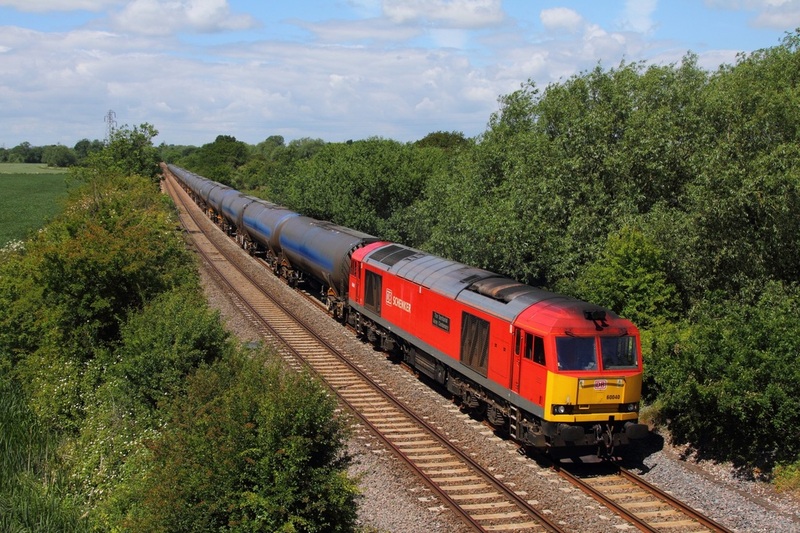 60059 working the 6B13 Robeston to Westerleigh loaded murco bogie tanks at Bulwark on the 20th July 2009. 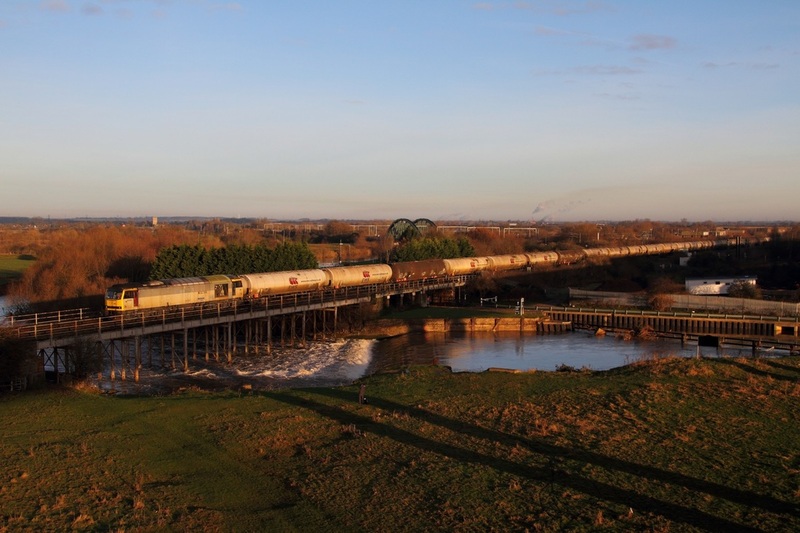 In Two Tone Grey 60092 powers over the Newark crossover as it hauls the 6M57 Kingsbury to Lindsey on the 8th December 2012. 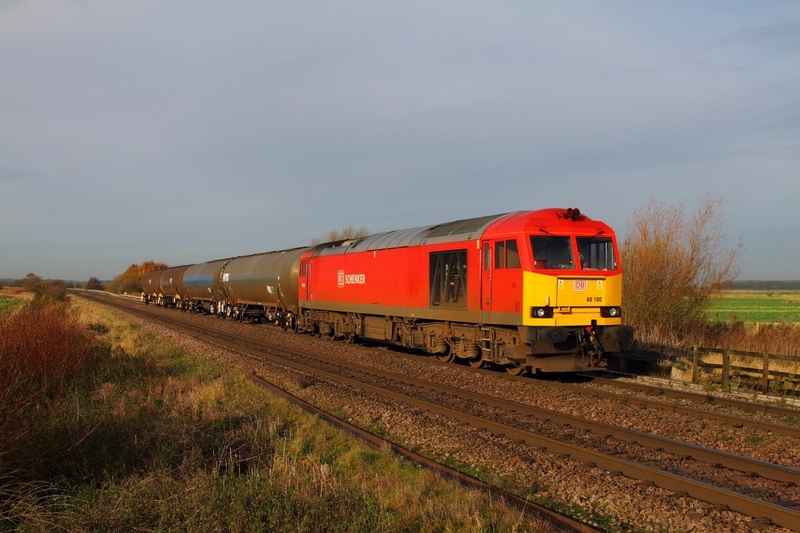 DB Schenker's 60100 working 6Z12 10:03 Doncaster Belmont to Immingham consisting of four VTG tanks at Worlaby near Barnetby on the 24th November 2014. 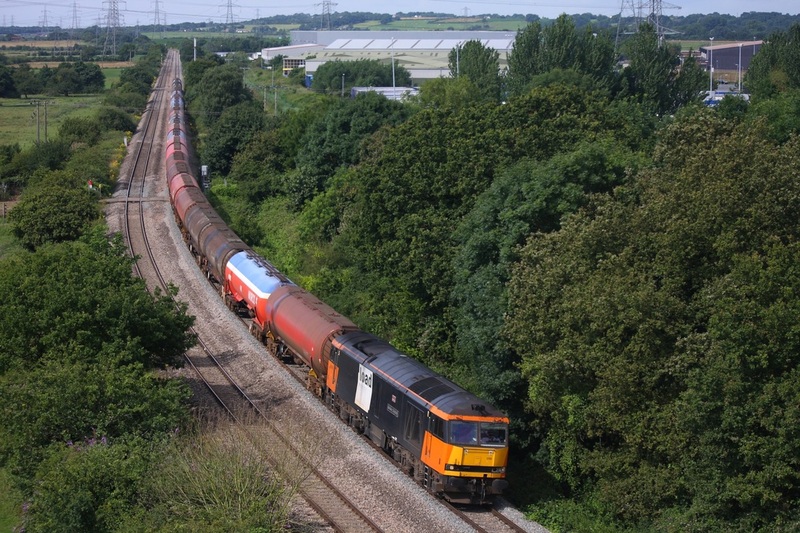 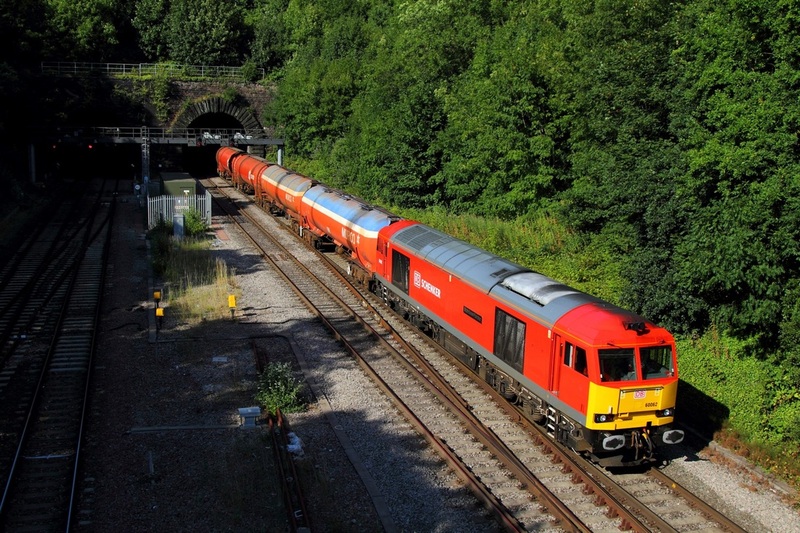 60020 powers the 6H25 Margam to Llanwern at Newport on the 19th July 2015. 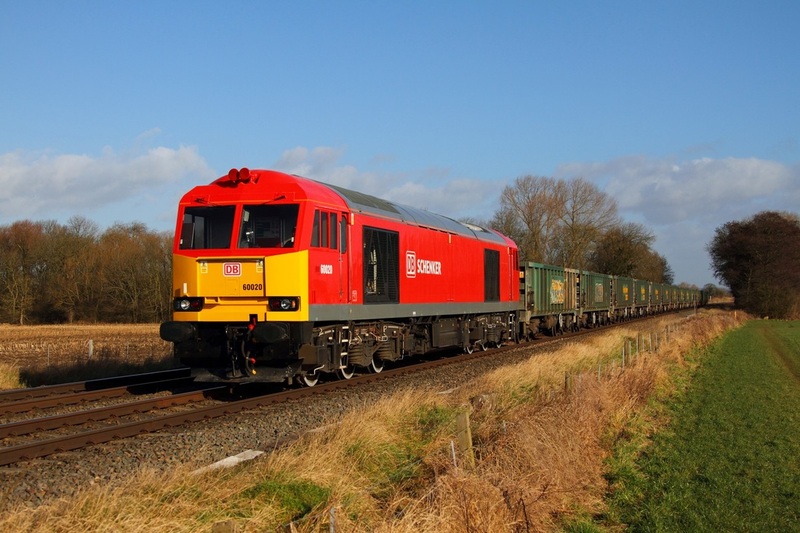 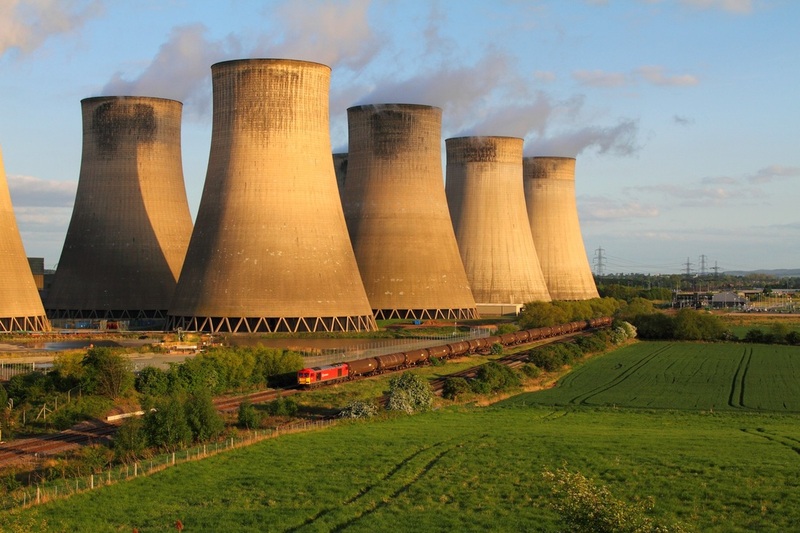 DB Schenker's 60017 passes Ratcliffe power station on the 6E38 Colnbrook to Lindsey tanks on the 2nd May 2014. 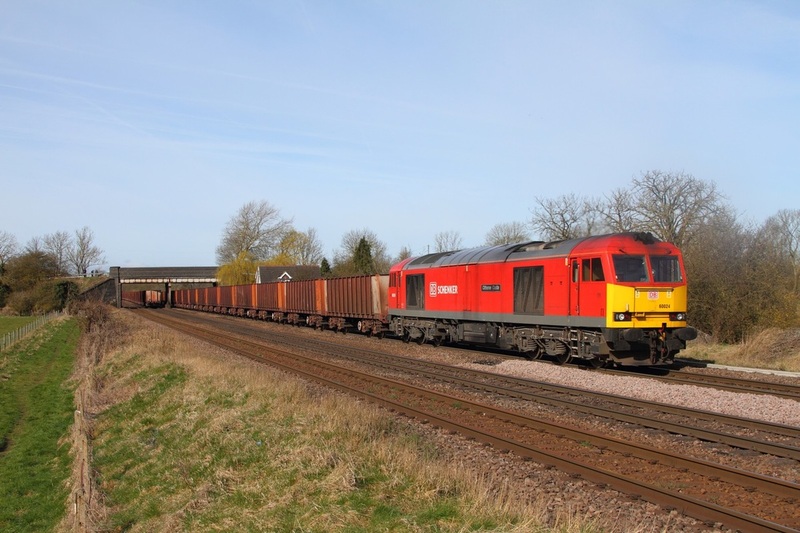 60024 on the 6K22 0942 Santon to Immingham passes 60020 on the 6T23 0955 Immingham to Santon at Melton Ross on the 2nd April 2015. 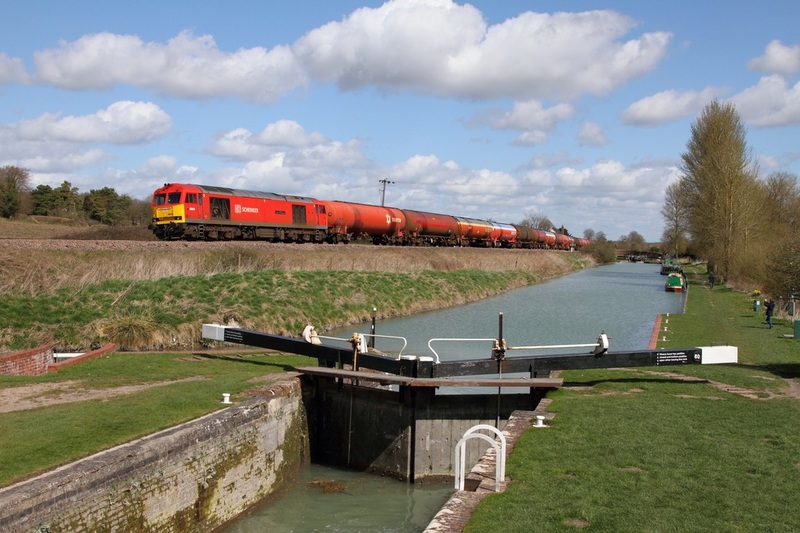 DB Schenker's 60019 hauls the 6B33 Theale to Margam empty murco bogie tanks at Crofton, Great Bedwyn on the 11th April 2015. 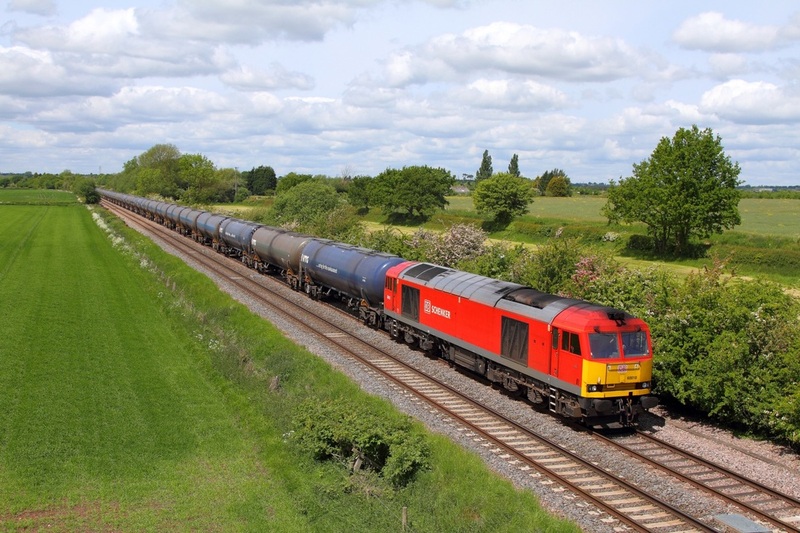 60010 works the 6E54 Kingsbury to Humber at Barrow upon Trent on the 31st May 2015.